You can listen to 'I'll stay with you' here. There is no danger, no sticking out, rusty hook left in the music of New Order, but does this band know how to write a pop song! Lost signals are the remnants of the sessions of 2005's 'Waiting for the sirens' call' album and for some reason or other were left on the shelf for almost a decade instead of releasing them as seems to have been the intention in 2005. Having said that, I can only declare that I'm happy that these songs saw the light of day in 2013. There's nothing spectacular about the songs on Lost sirens. Not one of them has the impact of 'Blue Monday'/'The beach' had back in 1983, a relentless Cold War beat set in depression. Instead Lost sirens offers pop, even a modern form of disco, but does so not only in a pleasant but pretty much convincing way. New Order in 2013 is there to entertain, like nearly all music is. 99 Years ago we are told was a time of radical art, soon to be swept away by radical diplomacy. There are no such signs today. New Order is of the same generation as U2 and The Cure. 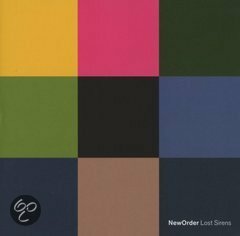 There are some similarities I find in the music, although New Order is much more modest in scope and in its arrangements. Perhaps as a result of the characters that make up the band. Peter Hook has left, touring with Joy Division songs. Gillian Gilbert returned, so with Phil Cunningham on board the band has two keyboard players. From all appearances front man Bernard Sumner does not enjoy being in the spotlights and this reflects in the music. How big the influence of a band like New Order is, becomes clear in the first song 'I'll stay with you'. Young Dutch bands like Go Back to the Zoo or Handsome Poets clearly have listened to New Order in the past. With 'I'll stay with you' one of the gems of Lost sirens has been mentioned. A song with loads of hit potential, 30 years ago that is. The production may be better than in 1983, New Order does not try to be 2013, without rehashing 1983. Which is a good thing. 'Sugarcane' causes some mixed emotions. Influences from The Scissor Sisters to Mika seep through, while some typical New Order melodies are there also. 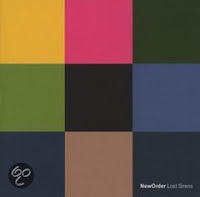 So does New Order try to be 2007 here? It seems like it. The power of the song itself saves it in combination with the darker overtones in the background. 'Recoil' is softer and 'Californian grass' pure indie pop, with a harsh sounding guitar eruption. There's also a familiar telephone sound mixed in, if you listen for it you'll find it. New order is not a band with a huge output. Lost sirens is only the ninth album and one with eight leftovers from 2005 at that. There is not much development since 2001's 'Get ready'. Some songs are a bit slicker, but as a whole if a band produces songs with the quality as those on Lost sirens -and leftovers at that- I should not complain. 'Shake it up' may start nice and gentle, the beat that sets in is not, which makes the song interesting and better. Lost sirens is an album that intrigues. New Order presents a mix that is dangerous. A mix on the verge of boring, uninspired sounding songs and songs that are special because of the way they are presented to us. It may be dependent on the way I woke up on any day which way the balance tips, but for now I just enjoy Lost sirens. A lot.